Great Moments Over The Years – A Personal Collection! **Note: These are NOT Professional Photographs. Unless noted, these photos come from my personal collection. I’m blessed to have had some amazing clients and it’s been a honor helping so many Brides & Grooms, and individuals, have incredibly memorable celebrations! These are just some of the awesome clients, and equally awesome moments, from the many celebrations I’ve been part of. In no particular order, these photos span my 16 year career, from the early days with Elite Ent. to present with TFE. I hope you enjoy browsing as much as I enjoyed creating! Click on any image to see it in larger detail! Singing with Brian Kirk & The Jirks. Stephanie & Tom Paden, June 5, 2009, Molly Pitcher, Red Bank, New Jersey. I put the kids to work at Matt & Nicole’s wedding at Crystal Point, Point Pleasant, New Jersey! Ha Ha! October 4, 2009 Matt & Nicole, DJ Entertainment, Crystal Point. One of my favorite Portuguese weddings! Some of the awesome NJ DJ’s I’m lucky to call friends! As part of the NJ Disc Jockey Network, we shared this great day with the bowlers in the Special Olympics Bowling Tournament! Photo: Jesse at DiVinci Photography!! Love random shots. Ha ha! May 15, 2011, DJ Entertainment & Singer. My early days with Elite Entertainment. Holy early moment!! My early DJ days with Elite Entertainment. 2013 Bras For A Cause – American Cancer Society benefit! Men modeling bras to raise money! WHAT A BLAST! We raised just over $13, 000! The awesome girls of the social committee at Heritage Point Community! I’ve done over a dozen parties with them! Any reason to party, and they do! John & Jen, October 28, 2005. Jenni’s mom got married recently & I had the pleasure of surprising then with their wedding song at mom’s wedding, Carol & Herb, May 18, 2014. DJ Entertainment & Singer, Temple Emanu El, Gloster, New Jersey. Audra & Israel Manzo – Battello, Jersey City. TFE DJ Entertainment & Singer. Randi & Mike Sullivan – February 6, 2015. – DJ Entertainment, Singer, Uplighting. 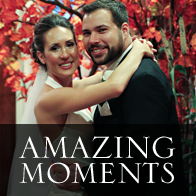 Real Clients, Real Moments, Real Celebrations!